Origin Native to Asia and Eastern Europe. 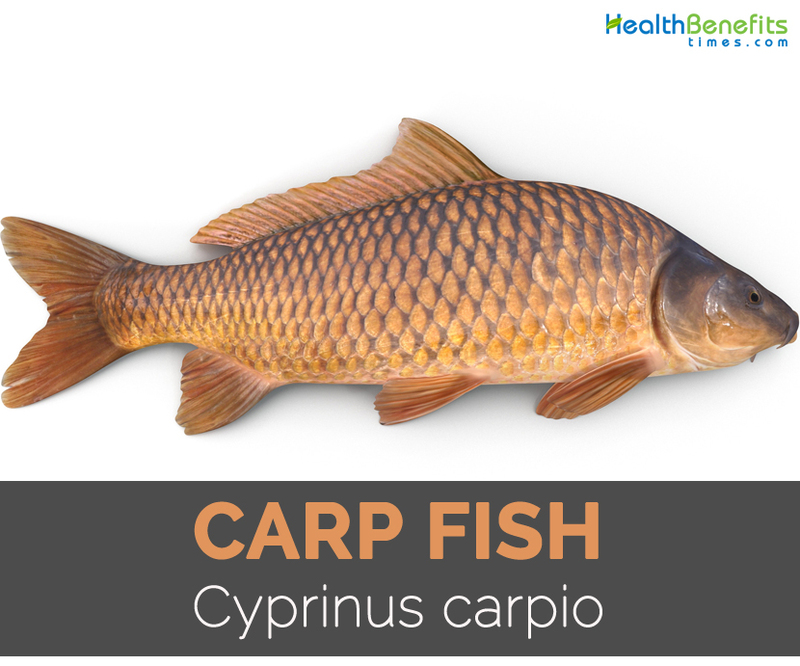 The word carp is derived from Greek "Cyprinus" and Latin "carpio". Carp (Cyprinus carpio) is the fish species which belongs to the family Cyprinidae and native to Asia and Eastern Europe. It is the species of genus Cyprinus. Cyprinus carpio have elongated and compressed body of average size 40-80 cm (15.75-31.5 inches). It has thick lips and large scales. Body color is bronze, yellow or brassy with a yellowish to white belly. As it is omnivorous, its diet is algae, insects, water vegetation, crustaceans, worms, small fish and zooplankton. They weighs about 30 kg. The adult female lays about 300000 of eggs which hatch after four to eight days. It deposits eggs in a shallow water. Some common names of Carp are Common Carp, European carp, German carp, Chinese carp, Asian carp, Great carp, Edible carp, Aischgrund carp, Amur wild carp, Amur carp, Asian carp, Calico carp, Blubber lips, Great carp, Grass carp, koi, Leather carp, Koi carp, Mirror carp, Nishiki-koi, Mud sucker, Scale carp, Wild Common Carp and Wild carp. The word carp is derived from Greek “Cyprinus” and Latin “carpio”. It was firstly introduced in 1877 in North America. It was widely distributed in North America, Central Canada and Central Mexico. The history was traced to Roman times. In most of the areas, it is consumed as food but it is also used as pest. Common carp was found about 2000 years ago in Inland delta of Danube River. It has golden to yellow color and a shape of torpedo. It was kept in the large ponds built by Romans in the South to Central Europe. Common Carp is inherent to Caspian Sea, Aral Sea and Black Sea. The Asian and European subspecies was domesticated. The monks spread the carp domestication as a food fish in Europe between 13th and 16th century. In 12th century, the carp reached to Delta of Rhine. With its domestication variants was arised. It is also called European Carp and is inherent to Europe and Asia. It has got introduced to worldwide. It measures about 5 ft. long and weighs over 80 lb. or 37.3 kg. It is dark brown to light gold in color. This carp has mirror like scales in their body. It grows bout 5 ft or 1.5 metres long and weighs about 60 lb or 27.2 kg. It has lower number of red blood cells. It grows upto 4 feet long and weighs over 50 lb. or 22.7 kg. Crucian carp is mostly found in lakes and ponds. It has high backs in the form of disc shape. It could survive in low oxygen and poor quality water. Crucian carp is smaller in comparison to Common Carp. It measures upto 1 to 2 feet or 0.4 meters and weighs more than 4 lb. or 1.8 kg. It has rounded heads and long slender bodies. It is also called Ghosties which has metallic lustre and is in the color of gold, silver and white. It grows upto 4 ft. or 1.2 meters long and weighs about 50 lb. or 22.7 kg. One fillet provides 275 calories, 118.37 g of moisture, 38.86 g of protein, 12.19 g of total lipid fat and 3.18 g of ash. It also covers 129% of phosphorus, 107.18% of isoleucine, 106.76% of lysine, 104.17% of Vitamin B12, 98.86% of tryptophan, 96.76% of threonine, 94.84% of valine, 92.86% of histidine, 85.47% of leucine, 77.72% of protein, 50% of selenium, 34.83% of total lipid fat, 33.75% of iron, 29.58% of Vitamin B5, 29.36% of zinc, 28.62% of Vitamin B6, 22.31% of niacin, 19.83% of thiamin, 15.48% of magnesium, 15.45% of potassium and 13.78% of copper. Carp fish is loaded with various nutrients. It is able to lower inflammation, enhances heart function, promote digestive function and slows down the aging process. It has high content of protein and low amount of saturated fat. 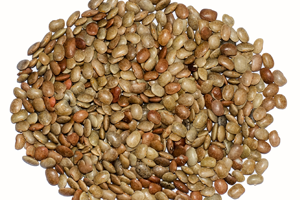 It is flavorful and tender which is added to culinary dishes and soups. The cooked meat of the fish helps to treat cough and reduce temperature of the body. The fish skin should be burned to ashes and drink with water. This helps to treat suffocation. Burn the eyes which are helpful for the injury, stabbed or pain. The application of blood to the swelling helps to cure it completely. The bone helps to cure the vaginal discharge of woman. The brain is used to cure epilepsy. The intake of porridge along with the brain of carp treats unsound ear. Eating porridge with carp brain can cure unsound ear. The intestine is used as a treatment for ulcers in children, hemorrhoids and ear infections. The use of teeth with alcohol or vinegar is helpful for the people who pee out gravel and sand spread out. The sore red eyes could be treated with the use of gall and also considered great for eyesight. Fin helps to cure the period pains. It should be burned and drink with wine. It also treats the blood pulse. The intake of cooked fat is the treatment for epileptic convulsion in children. The edema patients should consume carp porridge. It contains high amount of fat which could lead to heart problems. It could be canned, pickled and smoked. The world record for Carp fish which was catched in Romania weighed about 83 pounds. It was originated from Black, Caspian and Aral seas. In 15th century, it was known in Britain. They belong to minnow family. In US and Europe, Carp caviar is quite popular. It is quite difficult to recognize their gender. They are regarded as a good omen. Calories 275 Kcal. Calories from Fat 109.71 Kcal. Calories 277 Kcal. Calories from Fat 109.89 Kcal.